Intex expanded its budget smartphone portfolio by adding a new phone to its Cloud series. The new handset is dubbed as Cloud Power+ and will be offered for a price of Rs. 8,599. This can be purchased online via Snapdeal. 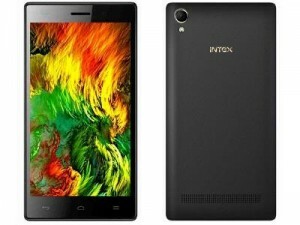 New Delhi: The new Intex Cloud Power+ comes with 5 inch display and the resolution is 720 x 1280 pixels. It weighs 156 grams. The handset is powered by 1.3 GHz quad core processor which is paired with 2 GB RAM. Internal storage provided is 16 GB and memory can be expanded up to 32 GB via micro SD. It features 13 megapixel primary camera and there is also 5 megapixel front facing camera on board. The Cloud Power+ comes out of the box with Android 5.0 Lollipop operating system. It supports WiFi, Bluetooth and 3G connectivity. Other features are 3.5 mm headphones, FM radio and micro USB charging. This dual SIM mobile phone has 4000 mAh battery under the hood. Snapdeal is offered Intex Cloud Power + smartphone with one year brand warranty. It can be purchased for Rs. 8,599 and this is 14% off on MRP, says the online retailer. Order will be dispatched in two business days. EMI is available . Free shipping is offered and order will be delivered in two business days. Click here to buy.